The East Bay foothills are rolling and beautiful. They stretch from the area surrounding Mt. Diablo all the way until the Caldecott Tunnel. Directly adjacent to Lafayette and Orinda and not far from Walnut Creek, Oakland and Berkeley is the premier East Bay enclave of Moraga. Moraga is renowned for it’s beautiful setting, premier real estate and proximity to all of the incredible sights of the Bay Area. 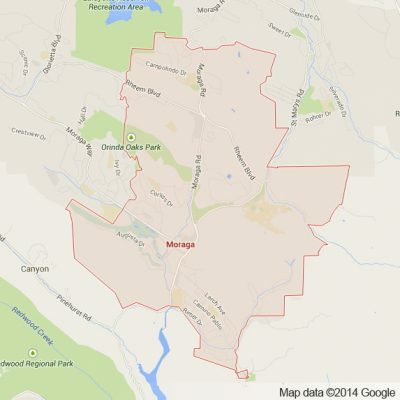 Open Space and an elaborate network of outdoor trails are easily accessible from nearly everywhere in Moraga. Only a few minutes drive is East Bay hotspots of Lafayette and Walnut Creek, each with a unique set of bars and restaurants found nowhere else in California. Apex Limousine Transportation is proud to be Moraga’s number one limo transportation service provider. Residents of Moraga continually use our limousine, sedan, and SUV services due to our high quality and standards. Our professional limo drivers and world class fleet of luxury are unbeatable. Our transportation services range from the simple to the complex, the elegant to the exciting and everything in between. Apex has limousine and sedan transportation services for nearly any occasion. One of our specialties however are weddings. For those who live in Moraga or who just want to use one of it’s many pristine locations, Apex has full limousine wedding services. We understand the complexities of wedding planning and for this reason we work directly with the families, couples and planners of every single wedding. We always want to ensure that what we are providing meets the needs of those who use our services. We also offer our limousines, sedans and luxury SUVs for junior proms and senior balls. Parents and students of Moraga always come back to Apex Transportation. This is because we make sure to prioritize both safety and entertainment. This makes us stand out among the rest. For those Moraga residents who need airport transportation, we also offer pick ups and drop offs to and from any of the major Bay Area airports (OAK, SFO, SJC). If you are looking to get out of Moraga for a day we also offer Napa Valley Winery Tours. Our limousine drivers use their deep knowledge of the Wine Country to take you and your party to the best wineries in the world. These wineries are complimented by the incredible and lush landscapes of Northern California. It is with great pleasure that we explore the beauty of Northern California and it’s delectable wines in one of our incredible luxury vehicles. We guarantee that when riding with Apex limousine transportation it is more than just a ride – it is an experience that will never be forgotten. We put our guests before everything else. We enjoy working closely and directly with our guests, no matter what the occasion is to ensure that their time with Apex was well spent. We are proud to be the go to limousine transportation service for residents and visitors of Moraga alike. So join us and together we can make your time on the road one you will never forget. Please call us for car service all inclusive total for Moraga to/from Napa Valley transfer.